I accidentally on purpose made this…one of the reasons why I don’t often have coconut butter in the house – it’s just too addictive. Bring the coconut butter to a spreadable consistency. Add in the cacao & stir. 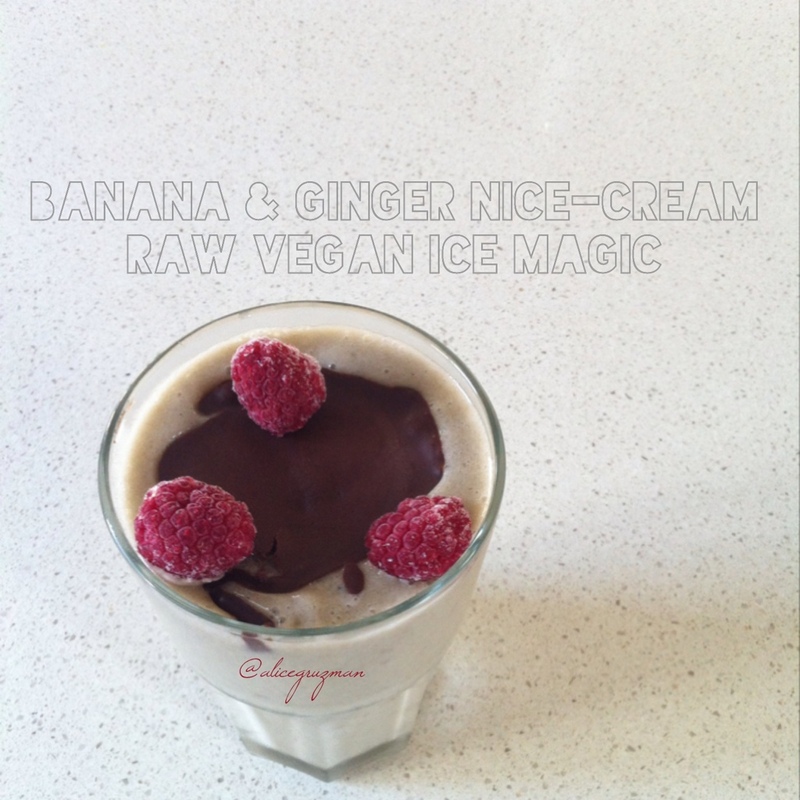 Pour over blended frozen bananas for ice-cream with ice magic sans sugar, gluten or any nasties. Work quickly as it freezes almost as soon as it hits anything frozen. 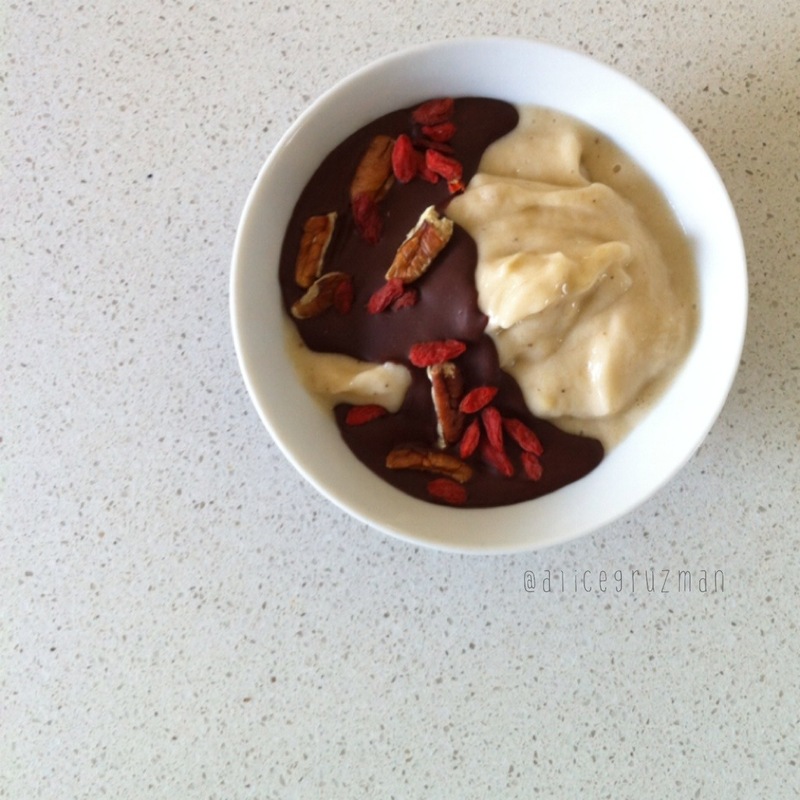 This entry was posted in Recipe and tagged cacao, coconutbutter, dairyfree, glutenfree, Icemagic, refinedsugarfree, sugarfree by 6 Clean Ingredients. Bookmark the permalink.